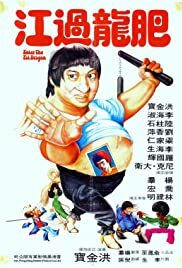 An apprentice farmer (Sammo Hung) ventures to the city and helps his family battle a gang of thugs. A cop is assigned to a case of escorting a criminal to Japan while dealing with relationship problems, and his enormous change in appearance as a result of being dumped. Sammo has some kung fu skills! Sammo Hung directed and stars in this parody of Enter the Dragon. Parody might be a bit strong, it's somewhere between a parody and a tribute to the late great Bruce Lee. You can't take this movie too seriously, but if you go in with the right mindset it's fairly entertaining. There is a lot of comedy thrown in with a few really good kung fu scenes. No surprise that Sammo is good with the jokes, but he definitely has some kung fu skills! He has an uncredited role in the original Enter the Dragon where he fights Bruce Lee.